Diva Outerwear Wool Babywearing Coat has been developed specially for cold climates. It is designed in Italy and tested in Russia known by its cold and snowy weather. 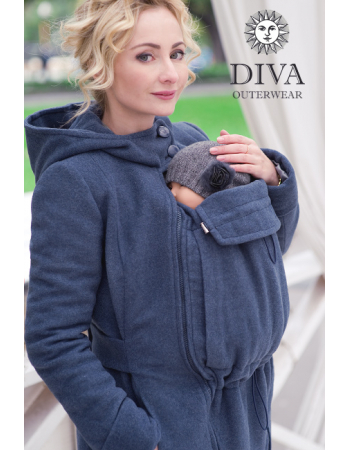 The Diva Wool Babywearing Coat will protect you and your baby from cold, wind and snow. It is lightweight and elegant, you can use it at temperatures from 0C (32F) to -10C (14F). 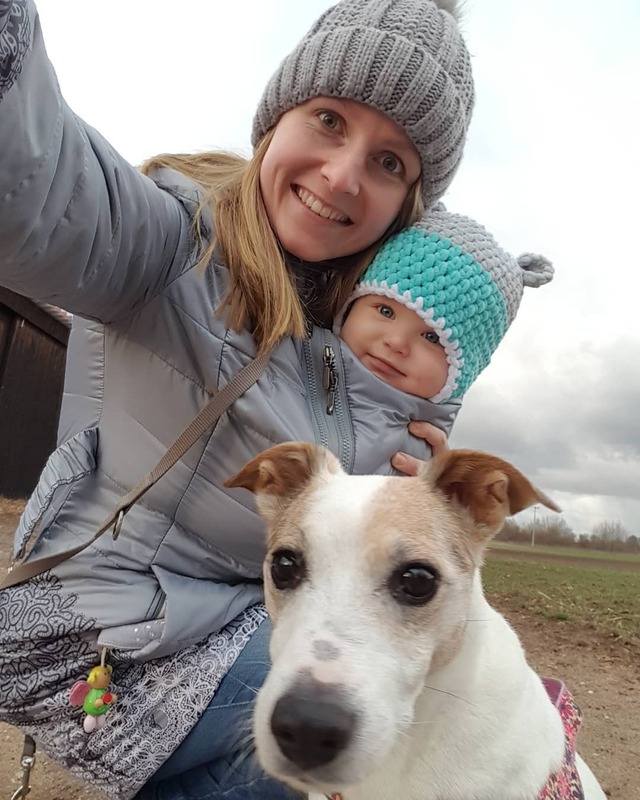 Wool fabrc is very warm, it makes the coat very lightweight which is important in babywearing. A touch of PA in a wool fabric is important for better coat durability. A detachable babywearing insert. Special cords with stoppers adjust the size of the insert and provide perfect adjustment depending on the mother and baby sizes. A detachable maternity insert. 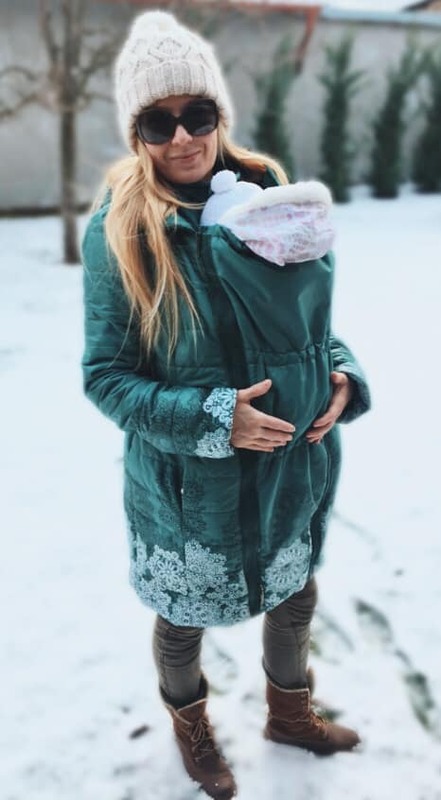 A coat can be used as a maternity coat until the end of pregnancy. Unique feature! A belt with a side fastening models a mother's waist. The belt has 2 types of fastening: for babywearing and for wearing without a baby. Unique feature! Backcarry shoulder construction specially designed to keep the warmth inside the coat. Can be used with both front and back carry. Maternity insert: 20cm/8" (widest part). 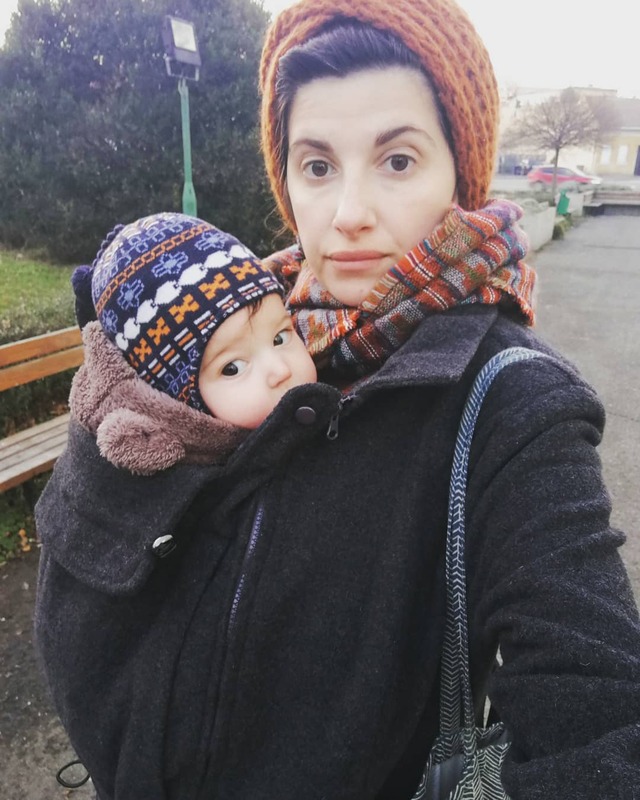 A babywearing coat is not a babycarrier, you need a sling or a buckle carrier to carry a baby! 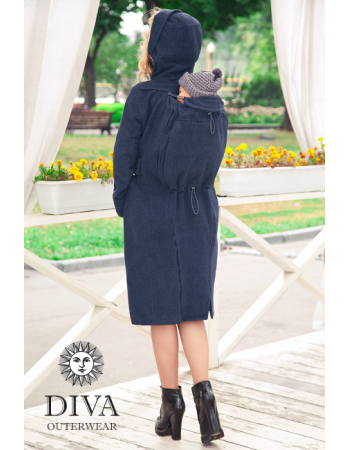 A babywearing coat can be used only with a vertical 'tummy-to-tummy' front carry! Designed in Italy, manufactured in Russia. * Slimtex is a high-tech fill from micro-fibers which combines benefits of natural feathers and synthetic fibers. Even a thin layer of Slimtex provides a great protection from cold. It is ecological, keeps its form after wash and dries up quickly. Slimtex fill was certified with Eco-Tex Standard 100 and is recommended for kids and newborn clothes. This fill is especially thin and often used in wool coats. To identify your size you need to measure over the fullest part of your bust, with the tape measure parallel to the floor, then check the table below. For your convenience we also included measurements of the coat so that we can compare with your normal outerwear. 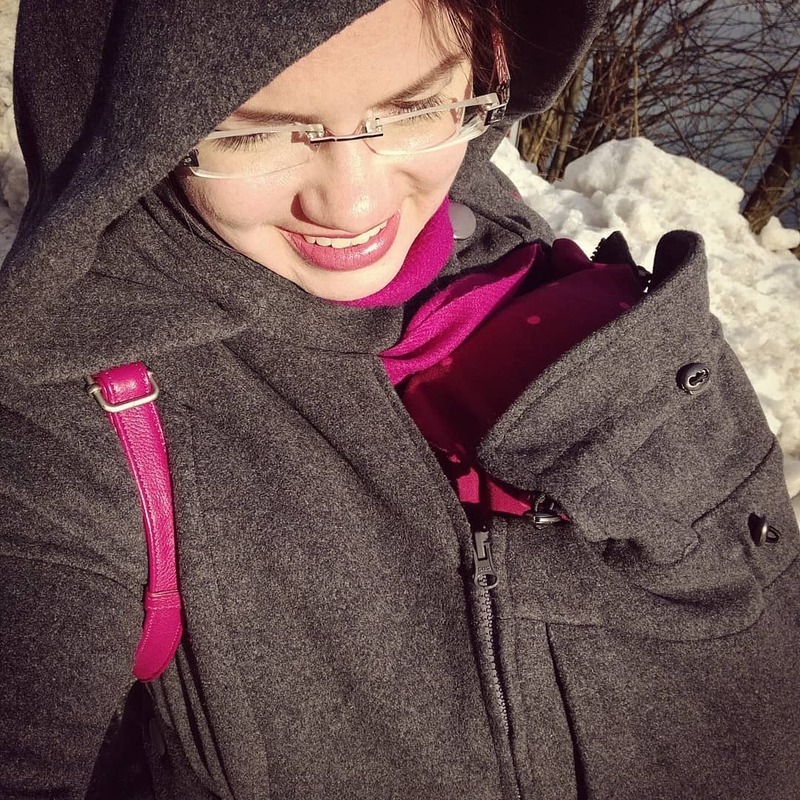 Hello, I ordered babywearing winter coat 4in 1 , communication was perfect, they sent the item immediately, I was very satisfied. The coat is perfect, its a really good quality, very warm and comfortable. I can just recommend the shop to everybody. I am very satisfied with this coat.It's really excelent quality,nice and comfortable.Communication was perfect. ... Highly reccomend! 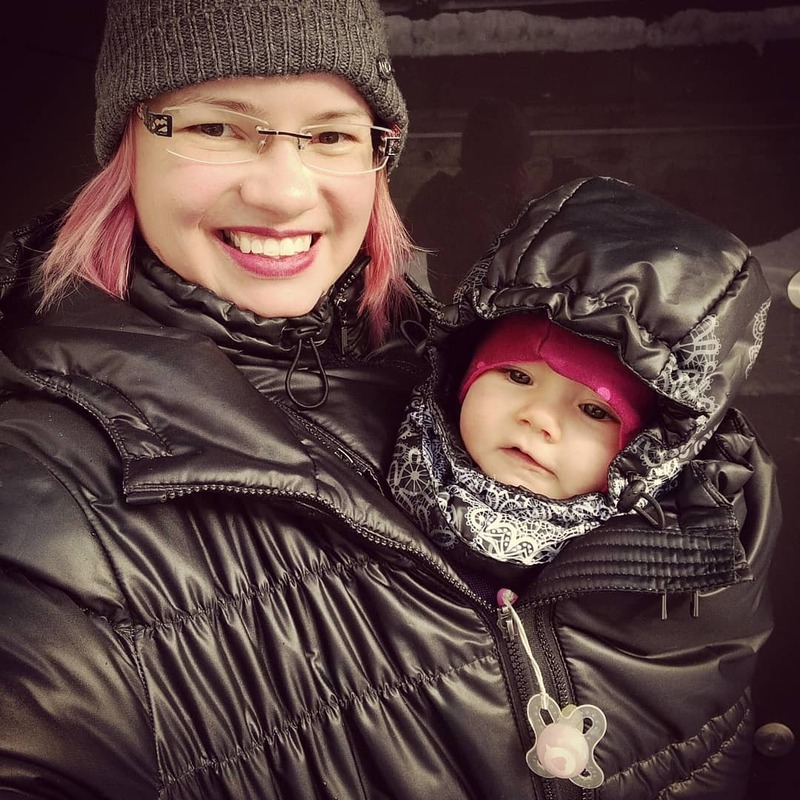 I actually purchased this jacket over three years ago for my first baby and just brought it out of the closet this ... babywearing jacket! 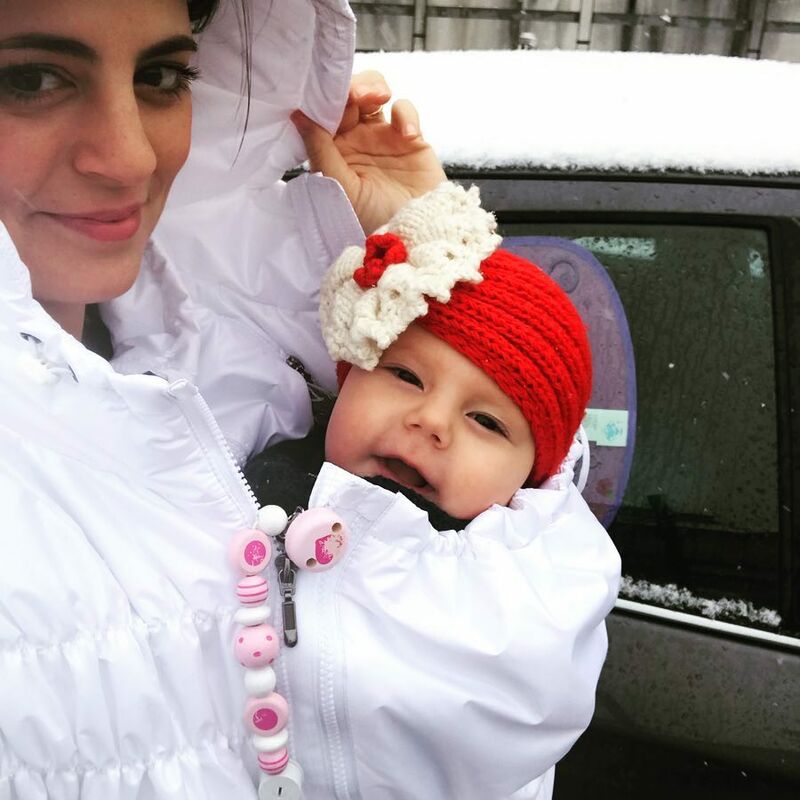 Finally the snow with our special coat by Diva Milano Sofia was happy here inside smelling the snow. Thakyou ... @divamilano !